We have all seen the breathtaking pictures of rushing waterfalls, blooming lupine flowers, and the eerie abandoned airplane. With these, we immediately wanted to see those sights with our own eyes. 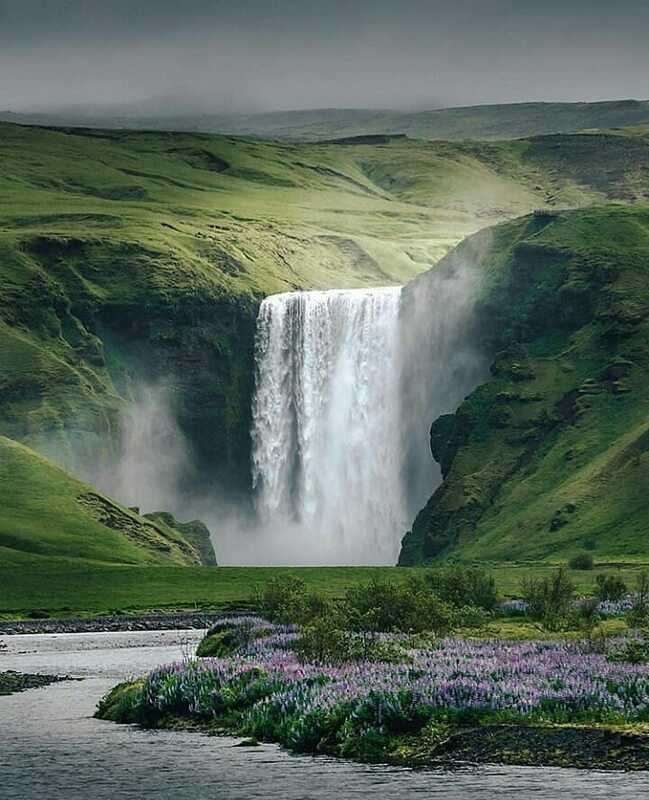 Iceland is a uniquely picturesque country, with landscapes that you can’t find anywhere else on earth. 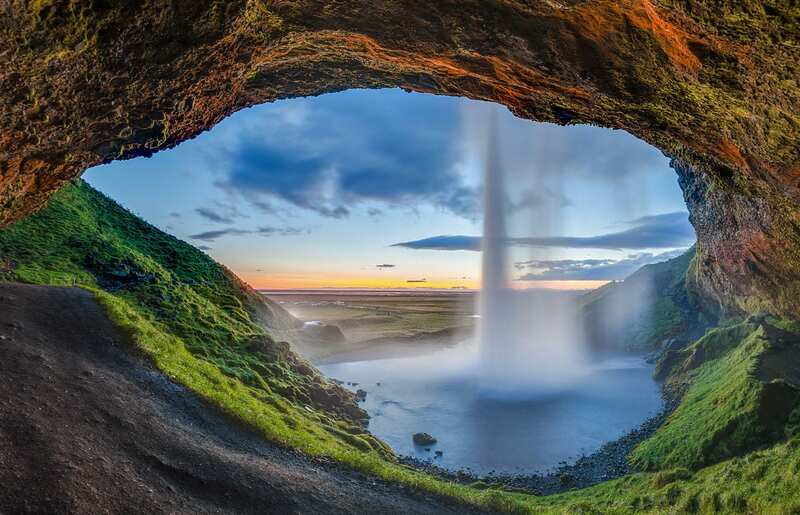 Due to this, Iceland has become an increasingly popular destination on every tourist’s bucket list. 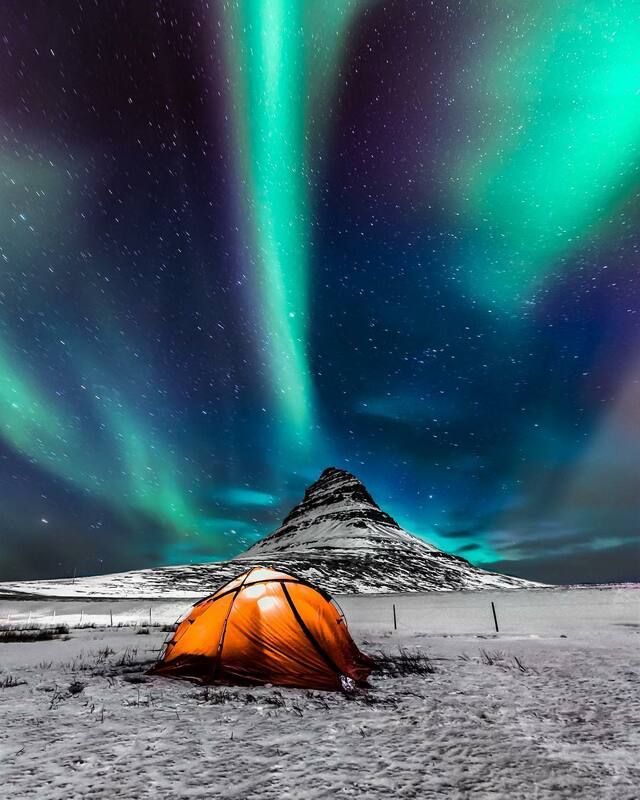 Also growing in popularity is camping in Iceland. 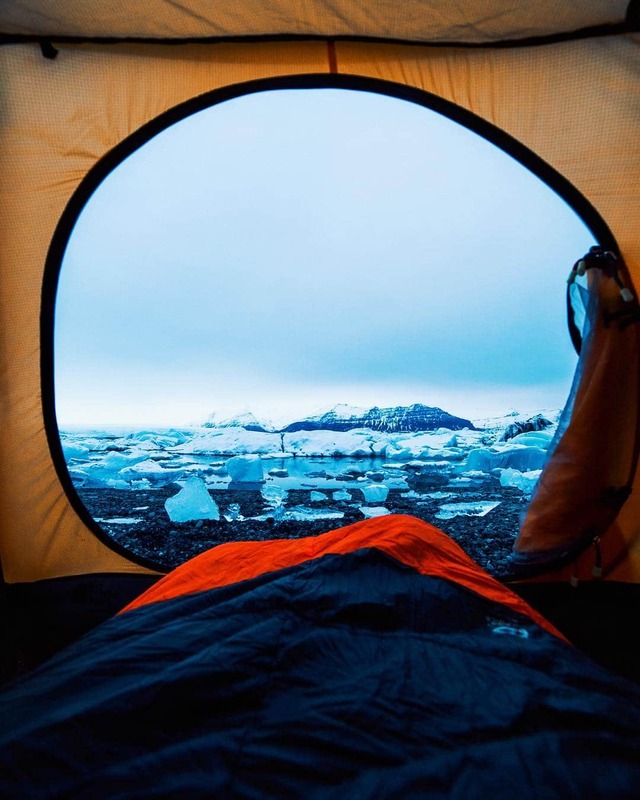 What better way to experience the beautiful Icelandic countryside than to go camping in it? Camping is a cheaper alternative to exploring Iceland. It also takes you into the true heart of this mystical land. Camping allows you to see things you would never see from a hotel room window. Photo by @cameroncechphotography on Instagram. Iceland is a popular tourist attraction for so many reasons. However, despite hearing about the beautiful sights and delicious food, you have heard how expensive an Iceland trip can be. 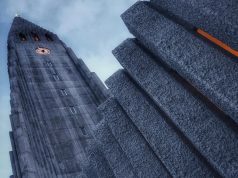 Hotels in Iceland are known to be particularly expensive. Many hotels easily cost over $200 USD. Hostels don’t get much better. You can expect to pay around $50 USD per person for night for a dorm bed. Camper vans come in around the same price point. Camping, on the other hand, drastically reduces the cost per night. Camping can bring the costs down to roughly $10 USD per night. This makes camping in Iceland the best option for a cost efficient trip. The cost is in no way the only reason one would want to camp in Iceland. The country boasts some of the most beautiful landscapes on earth. This includes impressive waterfalls, volcanic beaches with black sand, and towering mountains. In some areas, you can only find hotels and hostels in urban areas, tucked away from the country’s landscapes. Comparably, campsites are available everywhere. They are in some of the most beautiful areas. Camping will allow you to fully immerse yourself in nature. Photo by @gocampers on Instagram. 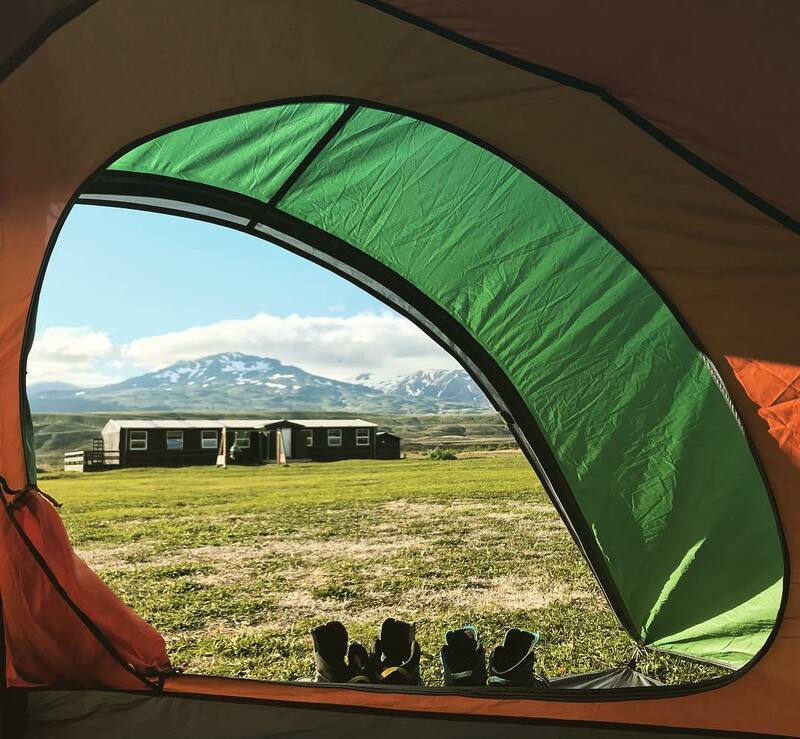 Campsites in Iceland are open from spring to early fall. Typically, one can stay at public campsites any point between April and October. The major factor in play with this is temperature. In springtime, the average temperature is between 38 and 44 degrees Fahrenheit. By the time September hits, it warms up, with temperatures between 40 and 50 degrees Fahrenheit. If you are willing to brave the lower temperatures of the spring, early April is a great time to go camping in Iceland. You will still be able to clearly see the Northern Lights at night at this time. If you don’t find cold weather agreeable, however, there is no need to worry. You can also catch the Northern Lights on occasion in the slightly warmer September nights. 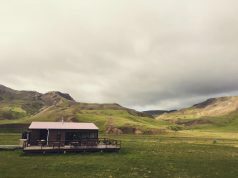 Since tourism levels in spring and fall are generally low, it is cheaper to camp and travel to Iceland during these times. Photo by @aventouro on Instagram. Icelandic summers are fairly warm, with average temperatures of South Iceland ranging from 50 to 55 degrees. During the summer months, they can even reach as high as 68 to 77 degrees. There is minimal temperature difference in North Iceland. Temperatures still range from the high 40s to the low 50s on average. Due to the weather being more mild and agreeable in the summer, campsites are more crowded. However, summertime (June especially) are a great time to visit. The rare lupine flowers bloom during this time, and the landscapes are generally lush and green in the South. If you visit during the summer, you also have an increased chance of seeing flocks of puffins as they move from ocean to land from mid-April to August. 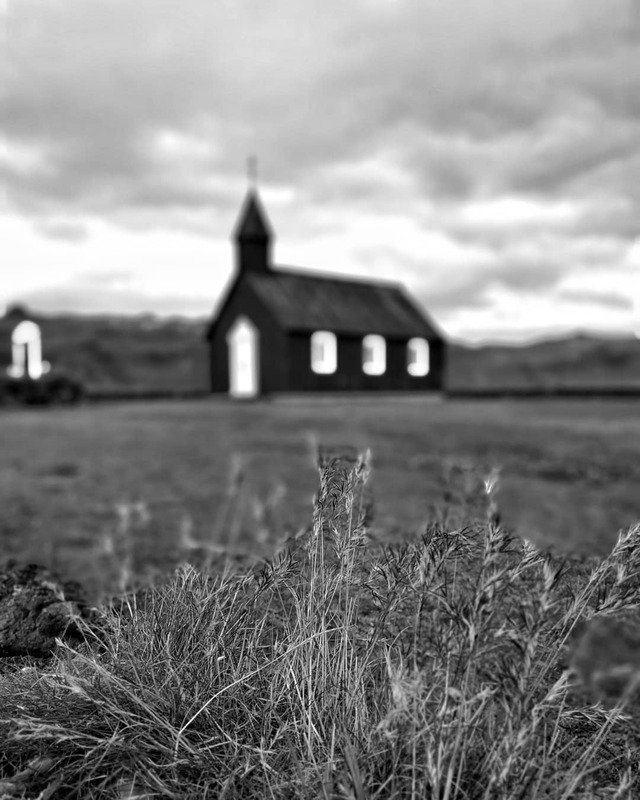 Iceland boasts extremely low violent crime rates with few burglaries and thefts. This makes it one of the safest countries to travel to. Nevertheless, it is still ideal to keep a close eye on your belongings and to always be aware of your surroundings. If you plan on camping in Iceland by yourself, you might want to invest in a GPS tracking system. This way, you can keep loved ones updated on your location and assured of your wellbeing. If you are going to encounter any danger in Iceland, it will most likely be due to your surroundings. Snowstorms can be sudden and severe at any point in the year, even during the summer. Because of this, make sure to pack appropriately for all kinds of weather. Icelandic weather is neither predictable nor too kind to unsuspecting visitors. As long as you make sure you are equipped with the proper clothes, equipment, and tools to keep yourself warm and dry, you should have no problem making the most of any situation you may find yourself in! Photo by @iamnomad_ on Instagram. There are many different ways you can travel around Iceland. The most convenient method is to rent a car. Car rentals are offered through the Keflavik Airport located near Reykjavik. Renting a car is easy and cost efficient. However, drivers under 25 are required to pay underage car rental fees. If you rent a car, you will have the option between all-wheel drive and two-wheel drive cars. 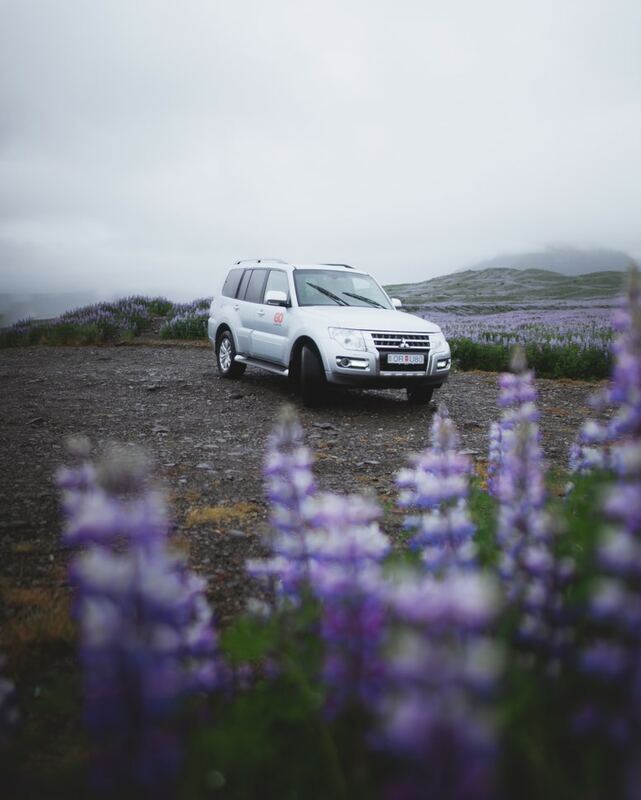 All-wheel drives work just fine if you plan on driving in the Highlands or the Westfjords. If you do not plan on driving in these areas and want to save a bit of money, choose a two-wheel drive car. For more tips on renting cars in Iceland, please see our popular post 13 Iceland Car Rental Tips. Camper vans are another option for those who do not enjoy camping in tents, but crave a similar experience. These are ideal for those who would rather enjoy the comfort and added luxury of an enclosed van with basic necessities. Unlike cars, however, they are not as cost efficient (as they offer living space as well). Costs will typically start around $100 per night in peak seasons. 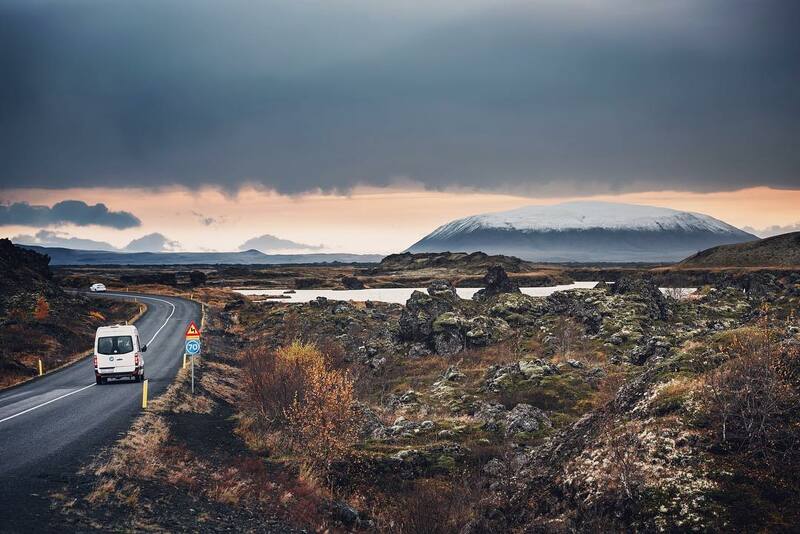 For more information on camper vans in Iceland, please see our write-up Hitting the Road in the Land of Fire and Ice: Five Reasons to Rent a Camper Van in Iceland. If you enjoy exercise, and have a strong sense of adventure, you could easily bike your way through Iceland. This method, however, is by far the least safe. Also, you would need to be prepared to act fast in the event that you find yourself biking in the middle of a snowstorm. Photo by @tripcookbook on Instagram. Aside from typical camping gear, it is vital to take care when packing for camping in Iceland. This is due to the unpredictable elements of beautiful Iceland. Dressing (and sleeping) in layers is crucial to maintain body warmth. This is especially true at night. We suggest clothing and blankets made from nylon and/or wool, as they are most effective. This blanket from Arcturus is a wonderful option for camping. Waterproof layers are a must. It is imperative that you stay warm and dry in the event of sudden storms or inclement weather. It is a good idea to bring a sturdy pair of hiking boots that are ideally waterproof as well, and a pair of sandals for any campsite showers. We did eight days with the Merrell Moab 2 and it performed admirably. 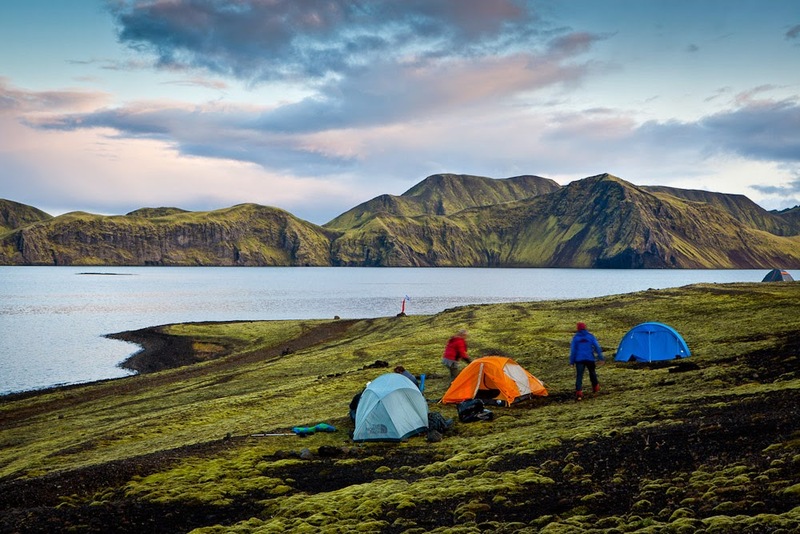 For tent camping in Iceland, you will need a tent and rain fly as well as a thermal sleeping bag. This sleeping bag will keep you warm throughout frigid Icelandic nights. Insulated sleeping pads are a must as well, as they provide comfort and warmth, separating your sleeping bag from the cold ground. There are a variety of campsites for you to choose from that will suit any camping needs. There are numerous standard, more spartan campsites with only a small central building where you check in with the manager or rangers and pay for your stays. This kind of campsite is ideal for those who truly want to get away from urban life and immerse themselves into nature. For beginner campers or those who would like to have a more comfortable experience, there are also more upscale campsites that feature a variety of amenities. Many such campsites feature hot showers and running water among other things. Some even have free Wi-Fi and laundry facilities, however expect to pay more for this. Photo by @pcardswithlove on Instagram. More rural camping is technically legal all over Iceland. This is on the consideration that it is done on non-private land, and is for one night only. 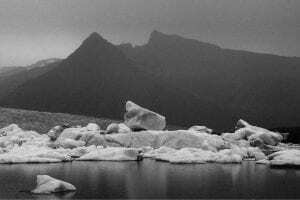 However, camping “in the wild” is generally not suggested or recommended in Iceland for several reasons. Firstly, finding safe parking spaces near an off the beaten path site is no easy task. Remember, parking on the side of the road is illegal in most parts of Iceland. Additionally, it is hard to gauge what is and is not private property. Also, rural campsites can fall victim to the elements far easier than their public, established alternatives. If you’re still craving the adventure of wild camping, be careful to read and make note of any signs that might signify that the land is owned. Also, make sure you can find a parking space nearby or be willing to hike from your car to wherever you decide to set your tent down. If you’re really serious about planning your Icelandic camping trip, then there are still some things you might want to know. Gas in Iceland is pricey, you can expect to pay around $8 per gallon. There are few public restrooms in Iceland. Be prepared to use restrooms in gas stations or small stores, let nature call in the wild, or hold it. Avoid stepping on, trampling on, and driving on the moss. It is an iconic and delicate part of Iceland’s ecosystem, and can warrant you a fine of up to $5,000 if you are caught. Water in Iceland is exceptionally clean. You can even safely bottle and drink water you find from lakes, streams, and glaciers! Gas stations in Iceland offer free tap water that is free and even better quality than bottled water. If you travel during the summer, you will encounter the Midnight Sun. Are you sensitive to light? If so, you might want to bring something to shade your eyes while you sleep. If you plan on staying at a guesthouse for one night to avoid really bad weather, you can waive your use of their linens and save some money by using your sleeping bag. There are little to no trees in Iceland. As such, don’t expect to be able to use a hammock as a part of your camping trip. There is little to no dangerous wildlife in Iceland, so you will never have to worry about bears or any other wild animals that might ruin your trip! You should expect to see more tourists than actual Icelanders, with there being about 2 million tourists per year and only around 340,000 Icelanders. Being able to travel around Iceland is truly a luxury. However, being able to do so without any limitations creates an experience like no other. Any turn you take off the beaten path can lead you to some of the various breathtaking sights to see that can satisfy anyone’s thirst for adventure. 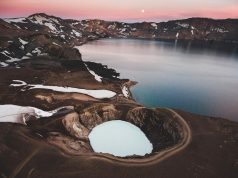 When you are confined in the walls of a hotel room and stuck to a strict travel itinerary, you cannot truly see everything Iceland has to offer. Camping in Iceland is a unique experience that is unmatched by any other. It allows you to travel a uniquely beautiful country at a low cost while also witnessing things you would not be able to see anywhere else. 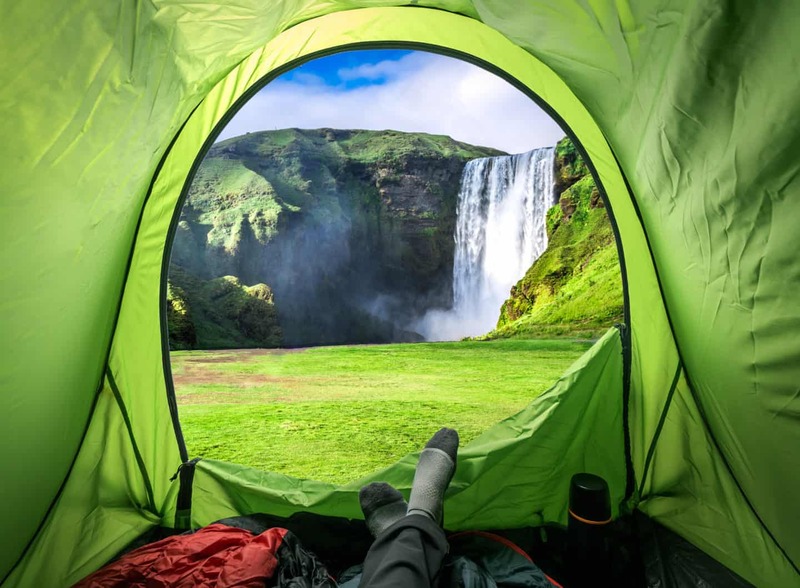 Next time you think about traveling to Iceland but find yourself balking at the cost, consider camping instead for the adventure of a lifetime!